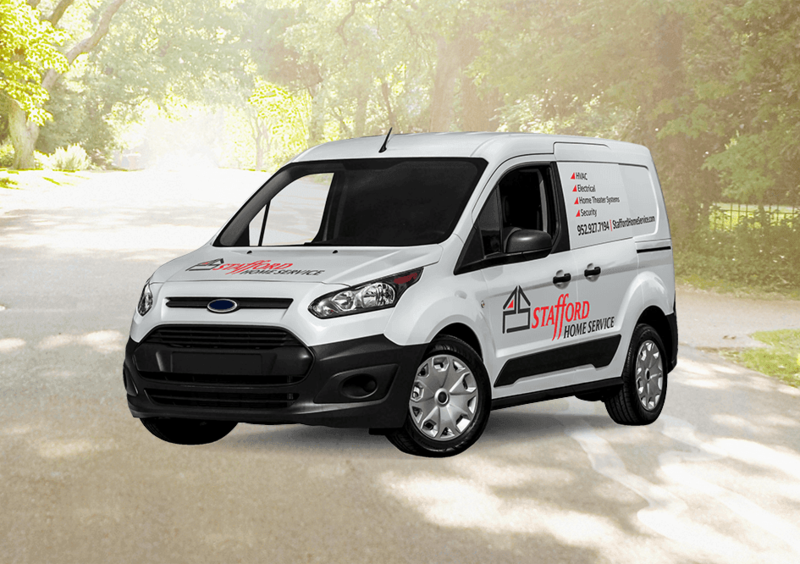 Stafford Home Service, located in Minneapolis, MN, offers comprehensive residential electrical, heating and air conditioning, home entertainment, and home security services. Our reputation for quality workmanship and unparalleled customer service took root in 1951 when an electrician named Curt Cervin started a small electrical service company. Back then, doing the right thing for your neighbor was an expectation. Cervin Electric provided a service of value with customer satisfaction always the top priority. In 1973, Cervin sold the company to Paul Stafford. Paul Stafford Electric maintained the same core values, to provide a service of value with the expectation of complete customer satisfaction. 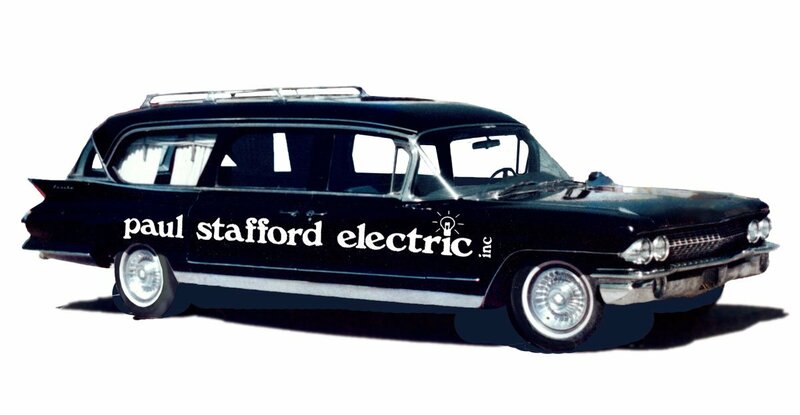 The company was also recognized for something a little unusual: Paul Stafford Electric technicians drove hearses as their work vehicles. For many years after retiring and selling the company, Paul Stafford still drove a hearse as his personal vehicle. In 2003, Paul Stafford Electric added heating and air conditioning to their service offerings. Not long after, in 2007, two long-time employees, Kris Thompson and Dan Fournier, purchased the company. With the addition of home entertainment and home security options in 2009, Thompson and Fournier officially changed the company name to Stafford Home Service to better reflect the wide range of services they provide. Stafford Home Service is a quality-driven company. Our trusted workmanship is focused on providing customer improvements to living or working environments to each and every customer. This commitment to excellence is evident through our pride and our customers’ satisfaction in a job well done. Our priorities are your comfort and peace of mind. No job is too big or too small, and we pride ourselves on our friendly, professional service from the moment we answer your call. At Stafford Home Service, we hold true to the fundamental values that built the business: satisfaction guaranteed, quality workmanship, dependability, and reasonable pricing. Contact us today to schedule your next service.